Welcome to the NEW Picture of the Week thread! Each week we will be posting a great new picture on the main page of the site. You will submit your picture on this thread and the Mods will choose a winner. The picture will be updated weekly. 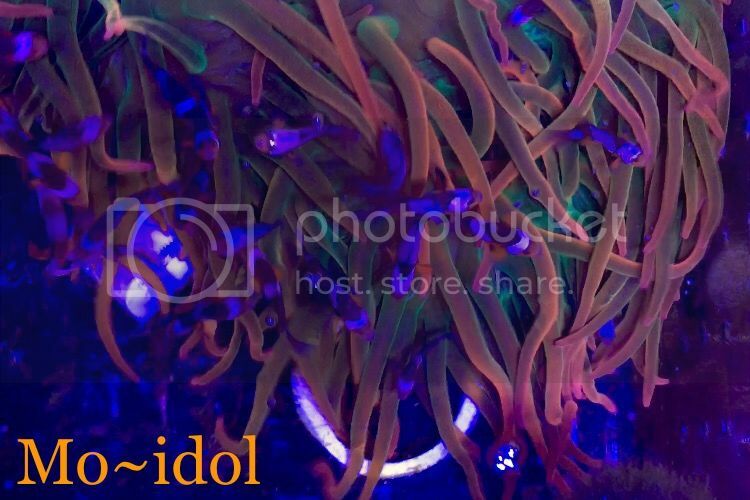 -->The picture should be your own - fish - coral or a FTS or partial pic. Reef related photos please. -->The pictures need to be clear and in focus. Please do not oversaturate them with color. -->One entry per week – submissions for the following week need to be sent in by Friday midnight. *** As we are just starting this today - you have until next Friday Feb 17th to submit a pic for next week. -->The previous Pic of the Week thread is being locked so there will be no confusion. In addition to the selected photo being on the Homepage, you can also see all of the winning pics in the new 'Announcements' Forum. Last edited by KathyC; 02-10-2017 at 08:01 PM..
Our first Pic of the Week is one that was taken by Sanjay! Excellent ideal, probably will turn members on a fish they never knew about or throught about getting. Will they be a little fish data about the fish. hey cathy good to see you posting again how are u feeling? Last edited by Rookie2reef; 02-13-2017 at 12:06 AM..
Dinner time. Today's special is fresh clams on the half shell.